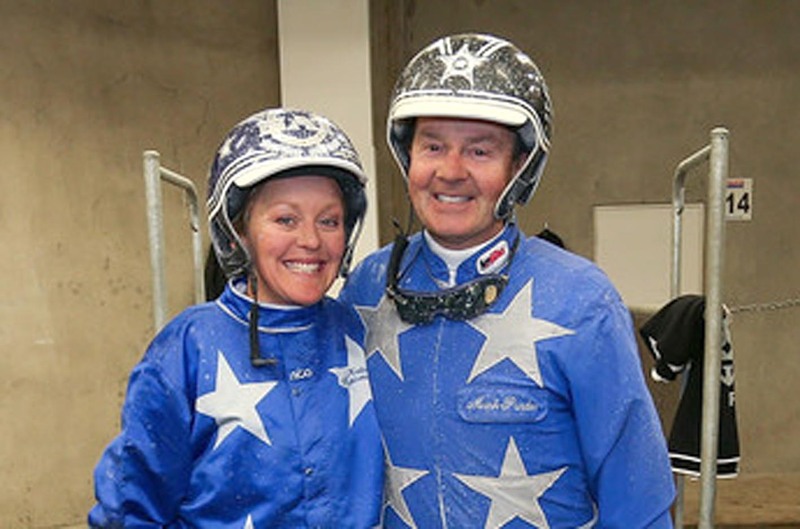 NEW ZEALAND’S power couple Mark Purdon and Natalie Rasmussen will begin their quest for yet another slice of history at Tabcorp Park Melton on Saturday night. No strangers to setting records, the duo are aiming to become the first trainers to complete a hat-trick of Inter Dominion wins with different horses. While Rasmussen is one of three trainers to win the Championship on three consecutive occasions, the victories were with the same pacer. Brian Hancock was the first when Our Sir Vancelot captured the time honoured series in 1997, ’98 and ’99. Rasmussen then followed suit Blacks A Fake, which was too good in 2006, ‘07 ’08. The only pacer to win four Finals, Blacks A Fake finished a half-neck second in 2009 before regaining the title in 2010. In his last Inter Dominion appearance, Blacks A Fake was third behind Smoken Up and Im Themightyquinn in 2011 before being elevated to second when Smoken Up was disqualified. By being lifted from runner-up to winner, it was also the beginning of a hat-trick for Im Themightyquinn and trainer Gary Hall. As it stands, Purdon and Rasmussen are just the second trainers to win consecutive Inter Dominions with separate horses since the event’s inception in 1936. The pair were successful with Smolda in 2016 and Lazarus in 2017. The late Bob Knight was the ground breaking, scoring with Our Maestro in 1988 and Jodie’s Babe in 1989. As for the pending assault, Purdon and Rasmussen will be represented by Spankem and Cruz Bromac, which arrived in Victoria last weekend. Spankem will be the first in action when he tackles the second qualifier from barrier five. Cruz Bromac will begin from four in the third and final heat on the card. The son of Falcon Seelster is a late start winner of the Group One New Zealand Free-For-All on November 16.